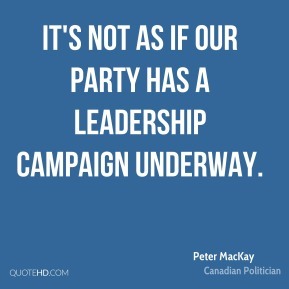 It's not as if our party has a leadership campaign underway. 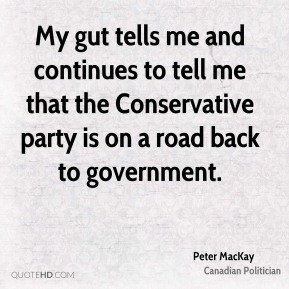 My gut tells me and continues to tell me that the Conservative party is on a road back to government. 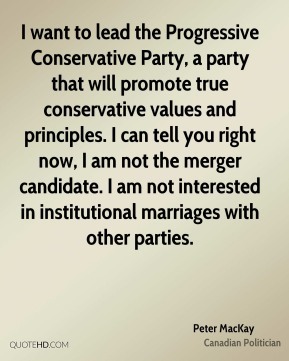 We have to stress our conservative credentials and emphasize that we are the natural, national alternative to the Liberals. 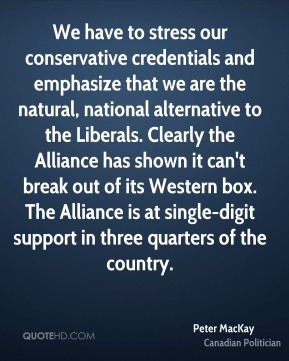 Clearly the Alliance has shown it can't break out of its Western box. The Alliance is at single-digit support in three quarters of the country. 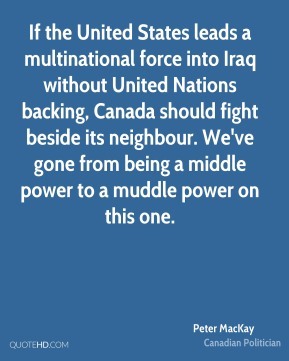 What Canada has to do is to have a government connected to the priorities of the people of which it is elected to serve. 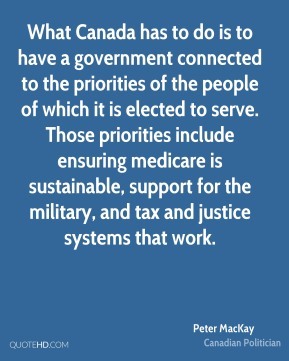 Those priorities include ensuring medicare is sustainable, support for the military, and tax and justice systems that work.